E.9 What is the meaning of PPM? 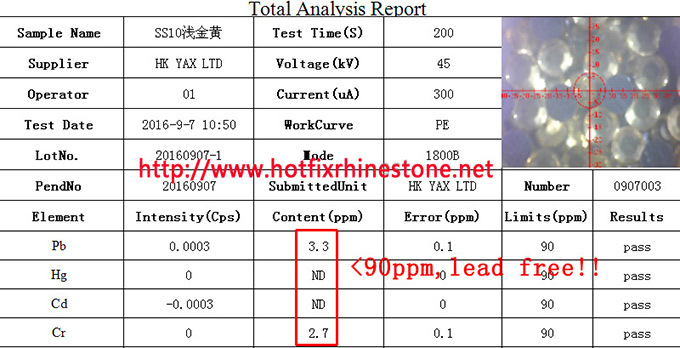 What is kind of ppm unite to the lead free rhinestone which is mentioned a lot? What is the meaning of PPM? PPM is the short for PartsPerMillion, referring to the content part per million, for example, 1ppm means that there are 1g solute in the 1000,000g solution. It is the same to the percentage %, but its rate is just much bigger than the percentage.